These superb quality stone pebbles can be used for both floors and walls. 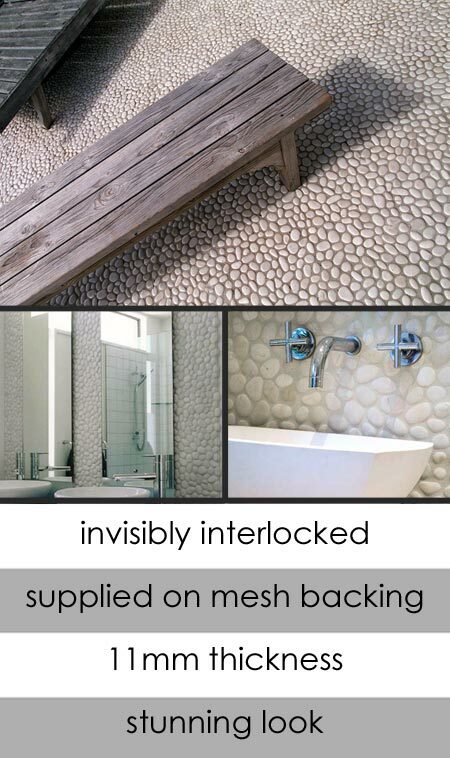 Supplied with the white pebbles onto a mesh tiles these irregular sheets can be invisibly interlocked for easy installation. approx. 300mm x 300mm x 11mm thickness. * Supplied on mesh backing. * Free mainland U.K. delivery.